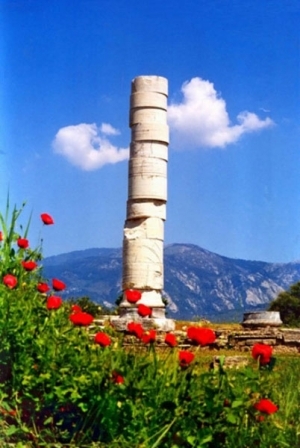 Archaeological surveys confirm that Samos had already been inhabited since the third millennium BC. The first settlers were Pelasgians, Cares and Leleges. However, according to tradition, the first Samians came from the island of Kefalonia and had as their leader Agkeos and his son whose name was Samos and that is how the island took its name. During the 13th -9th century BC, on the island settled Ionians and Epidaurians, who worshiped goddess Hera. The island became widely known in the 7th century BC, due to the fact that its inhabitants developed trade and founded many colonies all around Greece. The locals even claim that the Samoans were the first sailors who were able to sail up to the rocky peninsula of Gibraltar. During the reign of Polycrates (6th century BC), the island prospered and became one of the largest naval forces of that era. That time many great edifices were built, such as city walls, the temple of Hera, the Efpalinos Tunnel, the port and the palace. Also, important ancient mathematicians, poets and artists (e.g. Pythagoras, Theodore, Efpalinos, and Anacreon) lived on the island during the tyranny of Polycrates. 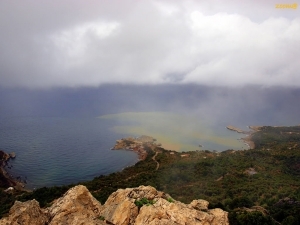 Samos is also mentioned by the ancient historian Herodotus as a great island. After the death of Polycrates in 522 BC, the island passed into the hands of the Persians, who followed a tough policy that has eventually turned against them all the Ionic cities (499 BC). In 477 BC, Samos was occupied by the Athenians, who due to the great local naval power had turned against it. Finally, after months of siege under the leadership of Pericles, the island bowed down to the Athenians and destroyed. From 404 BC to 322 BC, Samos had been successively dominated by Spartans, Persians, Athenians and Macedonians. In Roman times, after the Mithridatic war, Samos was destroyed by Pompeyus. Although, later, the Roman emperors Caligula and Claudius, built significant projects and monuments on the island. 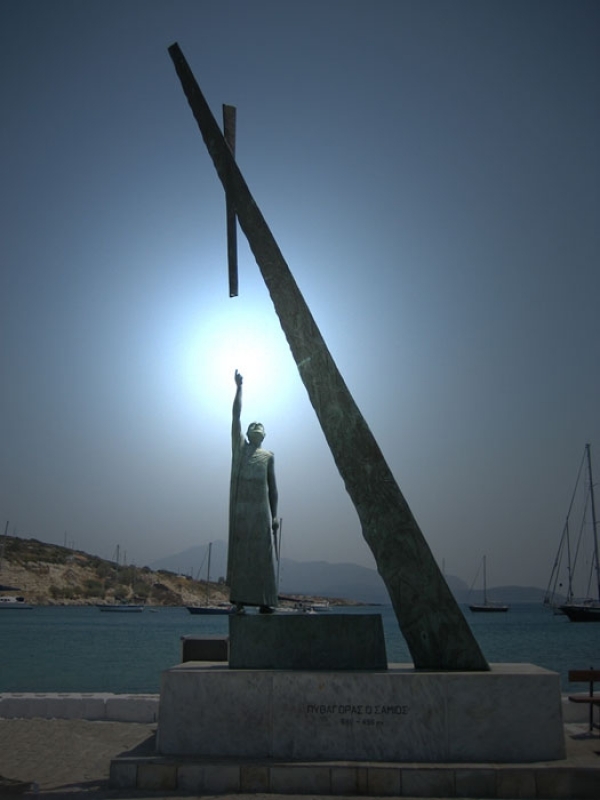 In Byzantine era, Samos suffered many raids by pirates and gradually declined. From the 10th century to mid 15th, passed sequentially from the hands of the Byzantines, Venetians, Genoese and led eventually to the Ottomans in 1475. At that time, the island was almost deserted and the last residents of the island were moved under the help of Genoese to the nearby island of Chios. The Ottoman Pasha Kilic attempted to repopulate Samos by offering many benefits to new residents. Population from surrounding areas began to settle on the island once again after the Treaty of Kucuk Kainartzi and on the island flourished the trade and shipping. The exported products at that time were mainly olive oil and wine. During the Revolution of 1821, the Samoans managed to make several successful attacks against the Ottomans. Led by Lycurgus Logothetis, raided in Asia Minor and repelled the continuous efforts of the Ottoman fleet to occupy the island. The Protocol of London, signed in 1830 by the major powers, did not include Samos in the newly established Greek state. However, the island managed to remain autonomous until 1834. Eventually, in 1834, under the pressure of a local politician named Themistocles Sofoulis, Samos joined Greece, officially on March 2 in 1913. During the Second World War, the island had been dominated by Italian forces. The revolution of the inhabitants managed to temporarily release the island in 1943. However, Samos was conquered by the Germans once again, in November 1943, after a devastating bombing. Samos was finally released a year later, in 1944, after the end of the Second World War.